Whether or not we realize it, the laundry detergent we use affects us day to day, in a big way. 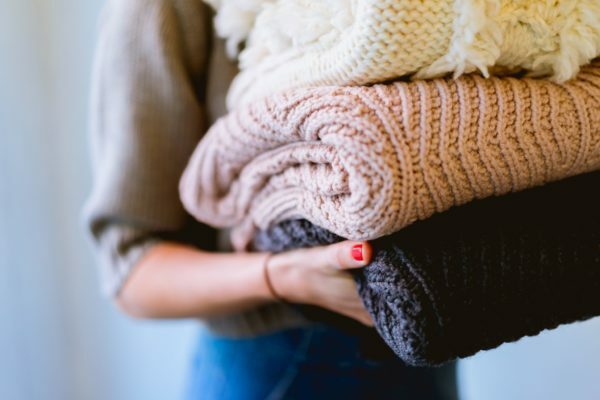 From the clothes we wear to the sheets we sleep in, we spend almost 100% of our time covered in fabric that's been cleaned with our detergent. It's for this reason that we've decided to make laundry it's entirely own category for #GreenUp2019! We’re going to walk you through which chemicals to look for in your cabinets and what you can replace them with. Be sure to follow along on our Instagram, and post photos of your swaps or DIY concoctions using the hashtag #GreenUp2019 for the chance to win prizes! We'll have a weekly winner, and a grand prize at the end of January. These are a few of the most common chemicals to avoid in your laundry detergents. This week, try taking everything off your laundry room shelves and toss anything using these ingredients. The good news is that we don’t have to expose ourselves to these chemicals—there are several options when it comes to cleaner, greener laundry. These are a few options that are better for your body, and better for the environment. 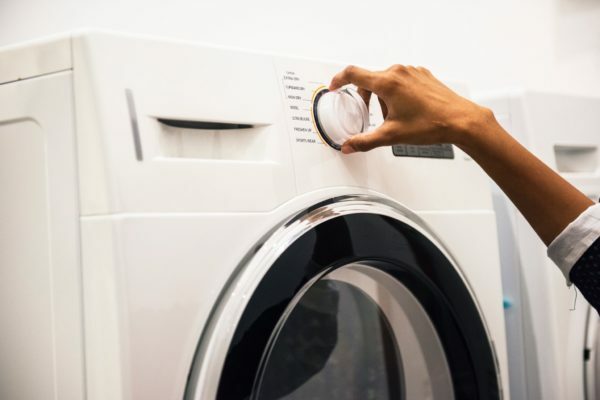 If you're opting to purchase a new detergent, look for ingredients like Sodium Sulfate, Sodium Cocoate, Sodium Carbonate, and Sodium Bicarbonate when shopping for a green laundry detergent. They have all received an “A” from the Environmental Working Group, and are commonly found in more eco-friendly products. You can check out many laundry detergents against the Environmental Working Group's database. Additionally, adding a bit of baking soda to your wash cycle will naturally brighten colors, without the clingy, skin irritating chemicals. One of our tried and true methods is, instead of using strong cleaners and chemical-laden stain removers, simply pre-treat your stain with a combination of washing soda, baking soda, and water before washing. Their line is made with plant-based, nontoxic ingredients that are better for your skin, and better for the planet. Not to mention, they operate on a refillable model, where you can refill your jugs with their detergent. This is perfect if you're also trying to reduce your waste this year! We also share Meliora last week on our post about household cleaners, but we also love their laundry powder! Not only is it clean and green, but it is Made Safe certified and receives an A from the Environmental Working Group. 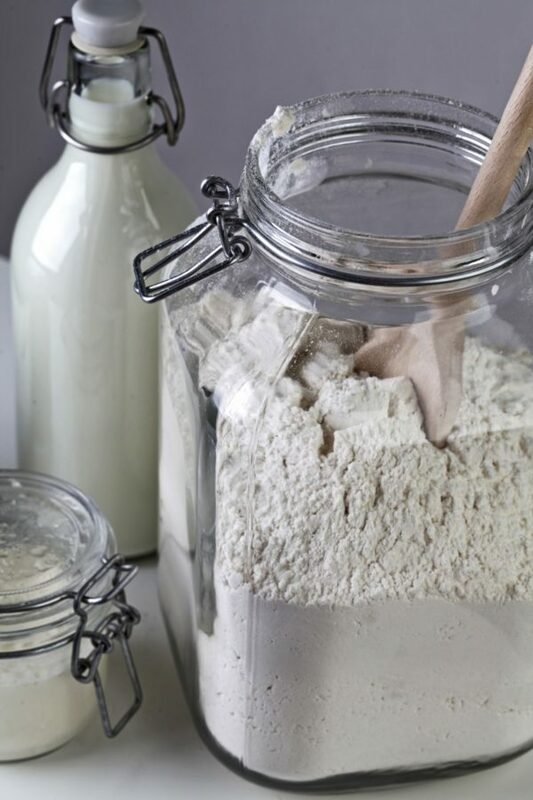 If you'd like to go the DIY route and make your own laundry detergent, this is our tried and true recipe. Grate the bar of soap on a cheese grater, or place in a food processor or industrial blender until you create a fine powder. Combine with the other ingredients and store in a canning jar. Use 2 tablespoons per load of laundry. Can the diy laundry recipe be used in a front load washer? I have been using Persil from Europe, for many years and have seen the less expensive made in US brand but find it works differently. So I would like to make my own and your recipe sounds perfect.